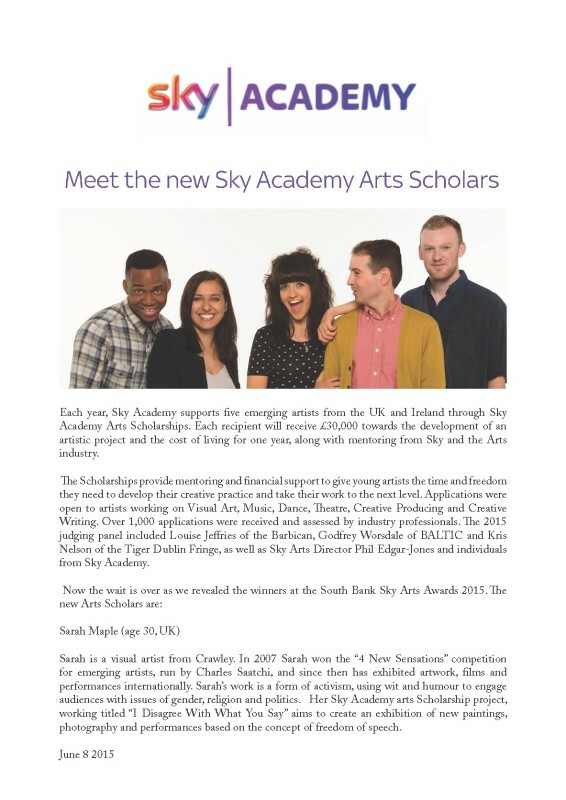 Sky Academy has announced the five artists aged 18-30 who have each been awarded a Sky Academy Arts Scholarship. Revealed at last night’s South Bank Sky Arts Awards the five winners will each receive £30,000 towards the development of an artistic project and the cost of living for one year, along with mentoring from Sky and the Arts industry. The Scholarships aim to help young artists across the UK and Ireland to develop their creative practice and take their work to the next level. This year, four scholarships were awarded in the UK and one scholarship was awarded exclusively to an Irish applicant.